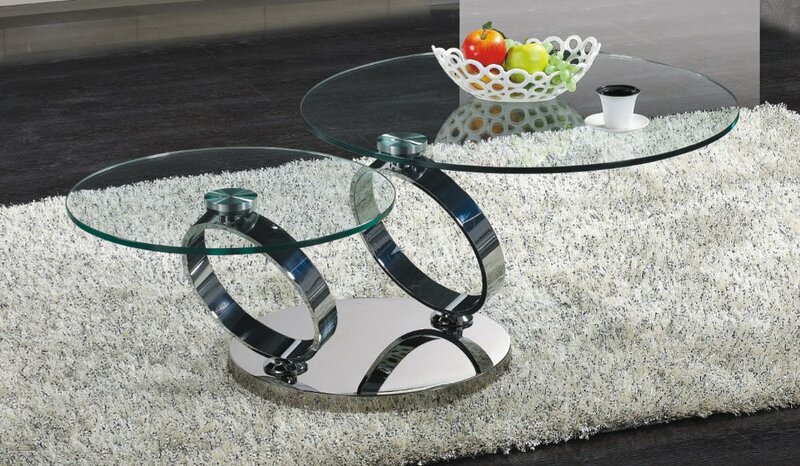 Two levels of adjustable glass, each sitting on top of a Circular Chrome Base with a sense of harmonious and aesthetically pleasing proportionality. This piece reflects beauty, symmetry, and precision. 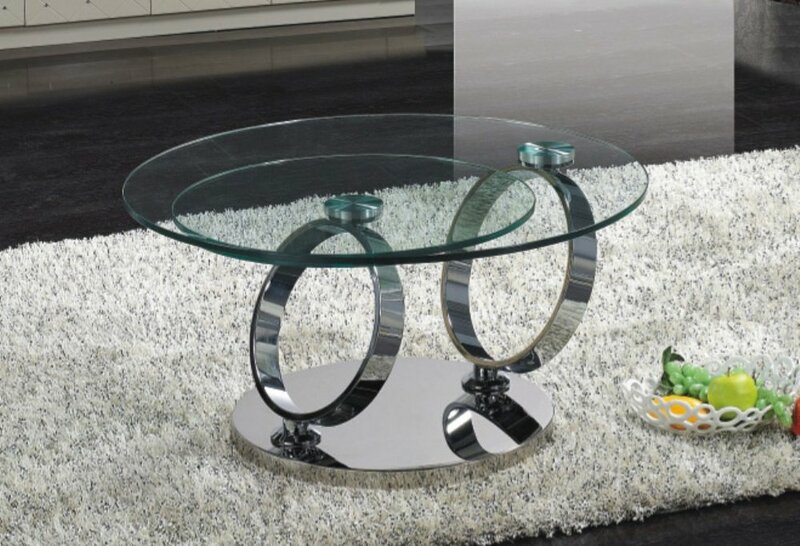 Matching end table also available.